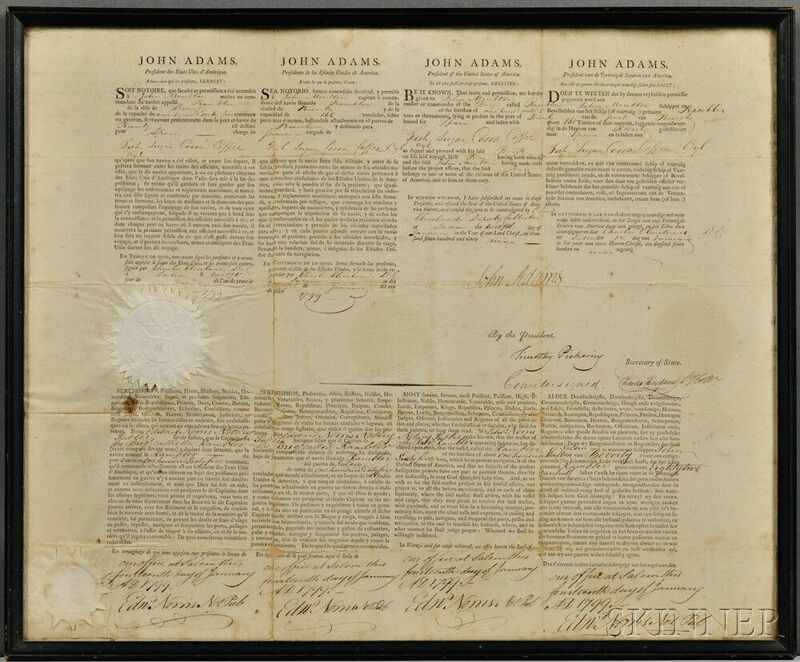 Adams, John (1735-1826) Four Language Ship's Passport, Signed, 12 January 1799, as President. 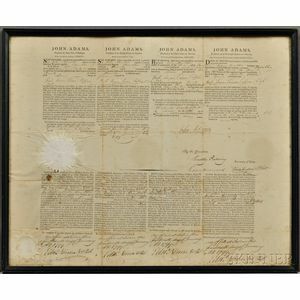 Double folio laid sheet, printed in four columns, each in a different language: French, Spanish, English, and Dutch, signed in the center by Adams, countersigned by Timothy Pickering (1745-1829) as Secretary of State. Issued to the brig Rambler, of Beverly, John Moulton master, to convey fish, sugar, cocoa, coffee, and oil. Old folds, toning, mounted, with separations along folds with some loss, framed, 17 1/2 x 21 1/4 in.